 The Chilean organisation Fundación Educarse has joined Instituto Ambientes em Rede from Brazil and ACODAL from Colombia as the third South American member of the FEE network. The FEE Board of Directors approved Fundación Educarse’s application for associate membership at their June meeting in Slovenia. FEE, which was an exclusively European organisation before going global with the admission of its South African member in 2001, has been endevouring to expand its international presence in underrepresented regions for some time. Some notable efforts towards this goal include initiating and participating in meeting and conferences in targeted regions, working with regional leaders to develop an African network of FEE members, and seeking out new sources of funding to support members from less affluent regions. CEO Daniel Schaffer’s visit to Chile and other Central and South American countries in January is one example of how these strategies are beginning to pay off. His meetings with Fundación Educarse and other prominent Chilean stakeholders laid the groundwork that ultimately resulted in Chile joining the FEE network. Diego M. Ramírez Cárcamo is one of the founding members and the current director of Fundación Educarse, and he has been one of the biggest advocates for bringing the FEE programmes to Chile.